On Fridays at 1pm Eastern: Talking Alternative Radio and tune in. Listen to the February 26, 2016 archived podcast. Kivi Leroux Miller has tips from her 2016 Nonprofit Communications Trends Report, on how to work effectively with your communications team. 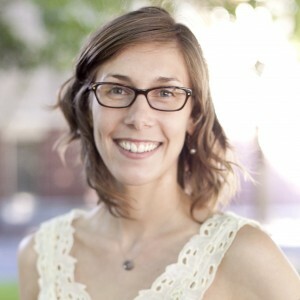 She’s the founder of NonprofitMarketingGuide.com and an award-winning author. Hello and welcome to tony martignetti non-profit radio big non-profit ideas for the other ninety five percent on your aptly named host oh, i’m glad you’re with me, i’d suffer aniko maiko, sis, if you touched me with the idea that you missed today’s show, communicate with your communicators. 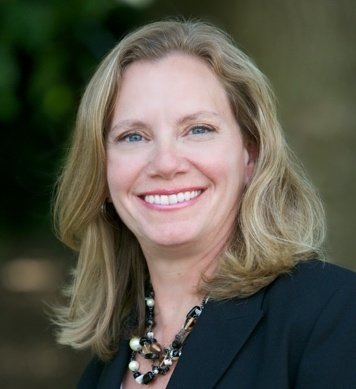 Kivi larue miller has tips from her twenty sixteen non-profit communications trends report on how to work effectively with your communications team. She’s, the founder of non-profit marketing guide, dot com and an award winning author, and the event pipeline get committed major donors from your events by making them transformational, not merely transactional. Pat clemency has before, during and after event ideas. She’s, president and ceo of make a wish metro new york and western new york khun learn lessons from rochester and buffalo and that’s from non-profit radio on october twenty fourth. Twenty fourteen on tony’s take two thank you. We’re sponsored by pursuant full service fund-raising data driven and technology enabled, you’ll raise more money pursuant dot com also by crowdster online and mobile fund-raising software for non-profits now with apple pay mobile donation feature crowdster dot com i’m very glad, very pleased, very thrilled to welcome kivi. 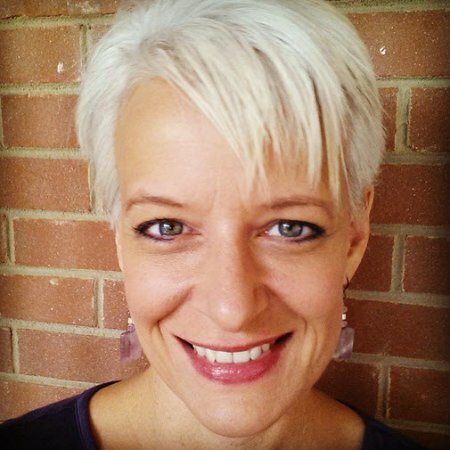 Larue miller to the show she’s the founder of non-profit marketing guy dot com and author of the books the non-profit marketing guide high impact, low cost ways to build support for your good cause and content marketing for non-profits she’s also a certified executive coach. You’ll find her on twitter at kitty l m welcome to the lm hi, tony. How are you today? Terrific. Welcome. Welcome to non-profit radio. Thank you. Tell me about this report that i believe is in its sixth year. Your non-profit communications trends report. How did this come about? Well, you know, there’s a lot that data out there about non-profit management in general and a fair number of reports about development staff. But no one was really looking at communications directors, and those are our primary interest. So we started it. So communications director’s kind of ah, like, like, step children. I mean, there had been a get for gotten sometimes. Well, you know, i think in some of our darker moment, maybe we define it that way. But what i really think is happening is that it’s, a relatively new profession and, you know, ten years ago, communications director, pretty much. Handled pr and maybe some print work. And that was pretty much it now. Of course, things have changed a lot. And so the job is much more complicated, and people are recognizing they need to actually staff it with professionals who are dedicated communications skills in developing their skills. Okay, so young professional. Okay. All right. That’s. Interesting. Because we’ve been communicating for well, as long as we’ve been been been walking, where did radio communications used to fall before we had communications and marketing directors? You know, i think that our people handled it, uh, or you might have had someone who did event marketing and pr. It was often times the executive director’s job or within the fund-raising department, but i think the job has become so big now primarily because of that that really didn’t demand its own staff. Yeah, of course. I’m good. Yeah. I’m just wondering where it used to be. Because, uh, before we had a communications director. Okay, um, what’s the, uh, what’s the background of the report. How do you how do you gather the data from how many people and stuff? Hey! Sametz this year, it was about six hundred. I’d say about forty percent of those people identify themselves with communications staff. Another twenty percent is development staff on another twenty percent as executive directors with a few others. Okay, um, you’re cutting out a little bit heavy. We’ll keep trying it, but we might have to have you call back. We’ll see. Okay, yeah, it’s not, i don’t think. Is anything you’re doing? I think it may just be the nature of digital communications will just just say okay, well, i could try a different line if you need me to. Okay? We’ll see. We’ll see how we do now. You have this broken down very nicely. You have your your four d’s for effectively working with the communications team for the executive director to work nice and effective with the communications team. Um, we will dedicate and define and delegate and discuss. This is all very ysl communicated. Very well. I hope your hope, you know that. Thank you. Yeah. It’s all very it’s laid out very nicely. That’s the report is just very pretty, too. Um, it seems like this is all just, like, falling into just being the executive director being committed to the communications work, i think that’s, right? And, you know, the other thing i would say is that somebody has to make some choices because there are so many different ways to communicate. Now somebody has to get this about what’s going to be the most effective way to communicate with the community based on your gold you’re trying to achieve and unfortunately, in a lot of non-profits people are not really making the decisions, they really are trying to do it all and so that produces a lot of frustration on the part of communications staff, and a lot of our guidance is tio executive directors to either say, hey, you need to make a decision or you need to delegate, then let your communications have to make a decision, but you can’t do everything. Yeah, ok, let’s, let’s, dive into some of your ideas that i mean, there are many more than then we can cover, but we’ll make sure we know well, why don’t we do it now? How can people get get this report very easy? You can go to non-profit marketing died. Dot com slash twenty sixteen and download them with report there. Okay, excellent, if i remember or if you remind me will say that again at the end too, but also because in a lot more to it than the section we’re going to cover. But i’d like to cover this working effectively between executive directors and the communications team. You like to see the communications director on the senior management team? Yes. So many decisions are made early in the program development. Say you’re starting a new program and then all the sudden the communications director it us to market that program. All right, i’ll tell you what, give e um okay. Giv e way lost you there. So would you would you try back on? I don’t know if there’s a different line you can call back on. We’re going to go out early for our break. And, um, when we come back, you’ll be back. And, uh, the number that we need you to call is, uh oh. We want you to call. Uh, you gotta hope you could take this down to one two, seven to one eight. One, eight, zero, two, one, two, seven to one eight. One eight zero we’ll go. Out for a break, we’ll have kitty right back. Stay with us, you’re tuned to non-profit radio. 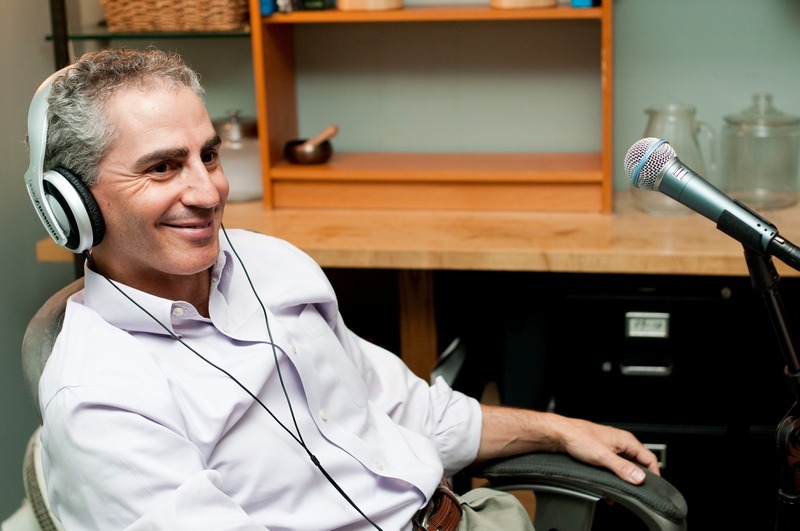 Tony martignetti also hosts a podcast for the chronicle of philanthropy. Fund-raising fundamentals is a quick ten minute burst of fund-raising insights, published once a month. Tony’s guests are expert in crowdfunding, mobile giving event fund-raising direct mail and donor cultivation. Really, all the fund-raising issues that make you wonder, am i doing this right? Is there a better way there is? Find the fund-raising fundamentals archive it. Tony martignetti, dot com that’s t i g e n e t t i remember there’s, a g before the end, thousands of listeners have subscribed on itunes. You can also learn maura, the chronicle website, philanthropy dot com fund-raising fundamentals, the better way. Welcome back to big non-profit ideas for the other ninety five percent e-giving sounds clearer now give you they’re right, i am okay, that that’s okay, i don’t think it’s your fault at all. Let’s, go let’s, go back to this idea that the communications director should be on the senior management team. Why is that right? They should be on the scene or senior management team because they need to be involved earlier in strategic conversations about fund-raising decisions and programming decisions lots of times, their routes to market something at the very end and little changes that could have happened earlier in the program would make a big difference in the result, but because they’re just sort of handed this finished product it’s often hard sometimes for them to do is get a job everyone would like, okay, and even just even just simple preparation, right? So they can prepare the team? Absolutely, absolutely. And, you know, most people don’t realize how long things take it’s like, oh, put up a new website for, you know, get a bunch of brochures printed. These things take time, especially when you have to work with other professionals buy-in graphic designers. Or editors. And so, you know, people that have never done that kind of work before don’t have an appreciation for just how long it really takes to get it done, right? Yeah, what what what do you feel about when you see a communications marketing directors reporting to the director of development or the or the vice prime? It doesn’t have to be just director, but the vice president development or, you know, the chief fundraiser, i guess that’s not what you want to see well, and we actually don’t see that all that often the most common organisational formats we see are either and integrated communications and development team where they’re already reporting to one senior manager, which i think is the best approach for you sometimes also see the more traditional kind of siloed teams where you have the communications people over here on the development people over there, and they have different bosses but there, more or less at the same level within the organization. Ah, either way, you want people to have access to the decision makers, to be able to move very quickly on decisions because so much of good communications needs to be nimble. And so you don’t want to just bury your communications director away and never talked to her. Which, unfortunately, is what happens a lot. Okay, well, that’s, why that’s? Why? I like this section of the report. Because it ah, hopefully will spark conversations between the executive director and the communications director or communications team. You know, maybe, you know, get some things. Start getting talked about that. It just kind of simmering and nobody’s really having a discussion about these issues school. Um, you like the executive director to understand the basics of communications, right? So we talk about a quick and dirty marketing strategy. Where the first question you wanna answer it? Who were you talking to? Your target audience. The second one is what’s your message to those people. The third one is one of the right channels or ways to deliver that message to the people super easy, right? If you just answer those three questions. Ah, lot of times what happened is people focus on that third question. They just focused on getting the message out without focusing on the target audience. Or if the message is really appropriate and oftentimes executive directors will. Say they don’t like something i don’t like this neither. I don’t like that colors on the website and our responses. Well, you’re not the target audience. Those materials need to be created for the intended community. And but if you don’t have any kind of concept of target audience and trying to reach people with a message that resonates with them, it’s difficult for you to be a good decision maker about communications, so you don’t you don’t want the executive director to be saying you put this out on twitter. This goes on facebook, we need a print brochure for this. Put this on the website. I mean there’s there’s more to it than that. It’s got to be much more strategic thought even just from the executive director at a basic level. Absolutely. Absolutely. Are the people you’re trying to reach in to motivate to do something using those communications channels. You got to answer that question first. Yes. Where are they? Right versus where would you like them to be or what? Yeah. Okay. Okay. Um putting some limits on the scope of the work for the communications team. You see them getting dumped on? Absolutely. And without a doubt, we hear the too many competing priorities or urgent tasks overtaking important ones as really big challenges for communications directors and, you know, not only that not only are there too many good communications choices, but lots of times that communications staff end up being the ones who are really good with computers, and so we often see them saddled with responsibilities or because they type well, now they’re doing boardmember way, see, all kinds of things get thrown into communications director there really limit their capacity to be good communications directors don’t dump on me. You see that on you see that on community on director’s desks as you’re mentoring them don’t dump on me. Well, i try to encourage them to stand up for themselves and to say, look, if you want me to be really good at managing our social media channels, creating great newsletters and guess what? Don’t expect me to go fix joe’s computer every time he blows the thing up. Yeah, yeah, that’s. Interesting because you do mentoring is a good part of your work. Um, how do you encourage these conversations that hopefully the report will stimulate but where? It doesn’t. How do you get the executive director and the communications director having this conversation? Well, you know, a lot of it is very interpersonal, right? So lots of times i tried to figure out okay, what is that really relationships that these two people have? But oftentimes we found that executive directors do respond to that outside expert that’s the classic thing where the staff says something, they’re not listen to you. Hyre the consultant consultant says the same thing and suddenly it’s the word of god. Right? So i end up playing that role a lot and really sort of backing up what staff are trying to tell their communications directors and if they can hold me up as an expert, sometimes that’s all they need other times, i give them different ways. Teo open conversations, we’d like to let people have really good examples of what other organizations were doing so they can demonstrate that they’re really not the first non-profit to try this new tactic that often works pretty well, too. Okay, um, have you seen things change over the six years i’ve been doing this report? What are what are some things that you’ve seen either either for the good or bad, you know, i think there really is a nice growing level of sophistication in the field. Like i said earlier, this is a relatively new profession, and people are asking harder questions of themselves, i think, and asking harder questions of people like me and, you know, really trying to be more strategic and not just do do do all the time, i think people do realize that they are overwhelmed with choices and they’re starting to get more savvy about realizing they need to make choices. So i guess, ah, marketing communications plan in being more strategic on dh that helps you make choices? Absolutely and saying, you know what? These three things are the most important things were going to do this year or these three communications channels or where we’re going to be our best, and we’re not going to do some of these other things, even if they’re the popular thing that’s in the news right now, we don’t need to be there. You have to make choices. You just have tio okay, yeah. On dh, prioritize the three most important things. So if something else intervenes, you know that these top three, if it’s competing with one of these, you know, these things take priority, and you know what, tony? People have a really hard time even putting things in one, two, three order you would not believe how difficulty that is for people when they’re talking about their communications, they want ten priorities, and they don’t want to put them in order. So that’s another challenge? I really pushed on communications staff in their executive director’s ok, i promise we won’t publish this. We won’t tell anybody, but i want the two of you to sit down and say what’s number one what’s number two and what’s number three and that’s really hard conversation for a lot of organizations, and what do they usually putting in those ways talking about events that they’re publicizing or programs or channels? What? What are those like? What categories? Of those one, two, three or one through ten for organizations that have a lot of different programs? For example, social service agencies tend to run scores of different programs that could be a really tough decision, you know, they can’t talk about all twenty things they dio in their newsletter. Or a social media the which of those twenty are going to get priority? That’s a really tough management call in other organisations, it tends to be, you know, are we going to speak more to our donors or we’re going to speak more to the people that were trying to serve and given the limited number of hours first on staff who’s most important at any given time again, people don’t want to have to decide, but if you don’t make a decision, you just sort of do it by default and that’s not really any better. Yeah, that’s not strategic, right? But i could see how these air difficult conversations toe have decisions to make, because do we put our volunteers ahead of our donors? Do we put our service beneficiaries ahead of our volunteers? Um so does it help when you say nobody knows except us? Well, it definitely helps them have the conversation with each other, and i think from there duitz they can decide who else has brought into that conversation and whether it really becomes public or not. You know, most people don’t actually publish their marketing and fund-raising strategies, so it does end. Up being an internal conversation, but even just bringing in some of those other program staff who’s, maybe their programs don’t make the top of the list or bringing in board members who have different opinions about fund-raising strategy, you know, they could be sensitive conversations. Okay, so that’s interesting. So do you often bring boardmember cz into to these conversations that you’re having between executive director and communications director? I think it really depends on the board and how active they are and again, whether they have marketing expertise, if you have someone on the board who has those skills and experience, that can be a great asset to the organization. But again, you don’t need someone just spouting off about things that they personally think they really don’t understand how to do communications at a professional level. Yeah, i really like that newsletter we did three years ago when we go back to that format, right? Or, you know, then there’s the one boardmember had to deal with one time who insisted that facebook was really just for perverts, so that was helpful, you know that she insisted the organization shouldn’t be on facebook because of a pervert. So you know, those kind of situations you just latto sort of move them along and get back to creating a real social media strategy. I think she was a friend of mine. Actually think that i got okay. Uh, that’s. Interesting. Cool. Okay, um, um, professional development you want to see? Oh, i think my voice just cracked like i’m fourteen professional development you want to see invested in? Correct, right? This is perfect. This is professionally. Yes. And it’s. We’re so blessed, really. And the communications field and i guess it’s no surprise, because we’re communicators, right? But there are so many good communications bloggers and people who are doing free webinars and free e books. Orsino certainly paid opportunities as well, but you could start with just the free blog’s and learned an incredible amount and both fund-raising and communications. So i really recommend that all communications staff take atleast an hour a week, if not more. But at least an hour a week to disclose the door, turn off the email in the social media and just read. Just read for an hour. That alone can really advance their own skills. How about conferences? Is there? A conference that you recommend? Sure. There are a couple, you know, there’s. Not one conference. Really? That is specifically for non-profit communications directors. However, there are a few events that i think you’re doing a decent job at meeting their needs. So my favorite national conference is intends. National technology conference. I try to make that every year there are a couple of regional events. There’s, a relatively new conference in north carolina called create good that is focused on non-profit communications and marketing. That’s another great a regional event. Ah, you know, some of the other events, we have a piece of it. Okay, just ah, well, let’s not highlight those because we want the ones where it’s you know, it’s it’s a premiere. Now you’ll be it. You’ll be a ntcdinosaur in san jose, this six coming march in march. I well, okay, looking for it. And i’ll be working with on two different sessions. Oh, cool. Oh, you’re presenting. All right, i’ll be hosting the live stream, the live audio stream and tc live. So we’ll shake hands. They’re absolutely all right. Um another thing that you like to see done is allowing your communicators to say no to the executive director. What do you mean by that? Well, lots of times executive directors get very excited about things, you know, lots lots of executive directors were really visionary people, and so they all come up with big ideas like we need a nap, you know, that’s when we hear a lot, yes, and odds are you probably don’t need a nap and may, even if you maybe do you probably can’t afford it. And, you know, we deal with a lot of small and medium sized organizations, and ap is something that really requires some pretty strategic thought is not something that you could just turn around and have online in today. So, you know, those are the kinds of things that we want communications staff to feel okay? Saying, you know what? I hear you? I know you’re excited about that. I’m gonna i’m gonna put that in my good ideas file for now and and not end up getting distracted and working on an app for the next two days when they need to be doing other things. Oh, app development could be there six months. Well, an expensive said and expensive too. You know, but lots of times what we see is an executive director saying, oh, you know, go find out the app thing, and then the communications director has to spend that day researching what it takes to create an app. Okay, well, knowing that they’re never going t to do an app and so that time hasbeen wasted. Okay? Aps yeah, i hear that occasionally. Do we need a nap, right? Um, you wantto see regular editorial meetings? What what? What’s an editorial meeting an editorial meeting is where you sit down and talk about what you’re going to talk about, and we’re going to talk about it. So what’s going in the new hey, brother what’s going on facebook? What event? Marketing you need to dio what presentations different staff are doing and how you can capitalize that already and reuse that content. So it’s really about focusing on, you know, what are the most important messages this week in this month? And how are we going to get them out the door? And again? This is where a lot of the triage has to take place. You’ve got fifteen different things you should probably be talking about. That because you have been planning that well, you can talk about all of them. You gotta prioritize. And so that’s the editorial meetings allow that to happen on a regular basis. It’s sort of forces the decision to be made and helps the communications team better plan their work. Going forward is a lot of that covered in our annual marketing and communications plan. You know, you can plan for sure, but so much of good communication is being about being responsive and really tying your work into what people are hearing about in the news today. So you can’t predict any of that, right? So you always need to be able to say, ok, this is what we want to talk about today. This is what’s actually in the headlines. This is what we’re hearing from our clients. This is what our donors air saying, what really does make sense to talk about, you have to adjust, and you have to tweak things. Okay? For sure. So i got you. All right. Um, internal communications you like, you know, you can’t really have good external without good internal. Absolutely. And, you know, i think the editorial meeting is a nice way to start those conversations. But what we talked about earlier about how teams were structured and making sure that the communications staff are not segregated from the development staff and they’re not segregated from the program’s staff. You know where people sit within a building or how often they talk to each other just throughout the course of their work can have a big impact on how well they work together. And then how well they communicate is a team outside the organization? Yes. Okay, you’re very good at explaining these very concisely to school. Thank you. Good. You’re a professional communicator. Um, how did you get into communications? This, uh, former step child profession. How did you how did you find your way here? Well, when i graduated from high school, i wasn’t sure if i wanted to be a journalist or environmentalist, and i ended up going to uc berkeley and they had a better environmental program than underground journalism program. And so i went the environmental route, and we’re in the environmental community for about ten years, but always kept writing. And so when i have the opportunity to move to the east coast and start my own business. I decided i was going to be a freelance writer for environmental groups, and it just sort of blew up from there, okay? Ah, i’ve been picking all the topics we have just about a minute or so left what what’s one that you’d like to cover, that we haven’t talked about. Well, let’s see, we’ve hit a lot of you know, i think one of the most important things that we can really do to help communications directors get the work done right is, too give them a boost of confidence. A lot of what i feel like i’m doing when i’m entering people is encouraging them to start these hard conversations with their executive directors to leave their offices and go hang out with their program’s staff to find the stories and really get the good information from people you know, like because this is such a new profession, people aren’t sure how to do it all the time, and they need a little extra shove in the right direction. And so, you know, i just want to encourage people to take it upon themselves to try to make something happen. Hilary miller you’ll find her at non-profit marketing guide dot com. And if you put forward slash twenty sixteen after that, you’ll find the report. Did i have that? I get that right for the report. E-giving that’s, right, ok, and on twitter, you’ll find her at k v l m. Thank you so much, kitty. Thank you, tony. A real pleasure. The event pipeline with pat clemency is coming up first. Pursuant, you have a problem? Uh, the problem solution statement. You have a problem. You need to raise more money. One of the solutions pursuing pursuing dot com. They’ve got these tools velocity for managing your fund-raising and helping your fundraisers manage themselves in their activities. And there their deadlines, their solicitations, etcetera, and then also helps you manage the fund-raising function. Um, prospector, which helps you find the upgrade ready donors that five hundred dollar donor-centric giving fifteen hundred or five thousand it’s using your data to find the people that you should be spending more time with and trying to get them upgrade. That’s the prospector tool these air, you know, made for small and midsize non-profits because you don’t have big fund-raising staff, um, you need help and pursuing ties, the technology that that does it. And you pick the tools that you need. That’s. Why, i think it’s ideal for small and midsize. You take what you need, leave the rest and all those tools are at pursuant dot com also crowdster with their new one of a kind apple pay mobile donation feature. It’s going to increase your mobile donations, which again pain, pain solution or problems solution statement you got to raise more money. I have a solution crowdster they obviously do crowdfunding site easy interface for your donors. They’re elegant looking sites. They look cool. You can check this all out at crowdster dot com and also the back end. Very helpful for you administering your crowd funding campaign now, tony’s, take two. Thank you for supporting non-profit radio. I don’t know. I hope i don’t say thank you too often, maybe that’s not possible, but i am grateful that you listened to the show and whether it’s live listeners or affiliates to get our affection or podcast listeners that get my pleasantries. I’m grateful for your support of the show if you getting the weekly alerts about who the guest star each week into your inbox. Thank you for that. If you’re with me on twitter, facebook, thank you. However it is, we’re connected. You’re supporting non-profit radio and i’m grateful. Thank you so much for being there. That’s tony’s, take two here is pat clemency from october twenty four ah twenty fourteen show on the event pipeline welcome to tony martignetti. Non-profit radio coverage of fund-raising day two thousand fourteen we are in times square, new york city at the marriott marquis hotel with me now is pat clemency. Her seminar topic is the event pipeline turning event guests into major donors. Pat is president and ceo of make a wish metro, new york and western new york that clemency. Welcome to the show. Thanks, tony. Pleasure to have you. You have ah, pretty desperate territory, new york city and western new york it’s an interesting territory, but i think it really is empowering in the sense you get a chance to say all sorts of markets in which you can raise money and it’s really the opportunity to understand how donors react in their markets and and you know what the universal is? They won’t want to make a difference. And how far west does western new york go in your for we cover the major cities of buffalo and rochester, seven ending counties. It’s just go over to buffalo. It does. Okay, so we don’t have the middle of the state. But we have a new york city in nassau county and then seventeen states counties upstate. What do? You see that non-profits are not quite getting right around events and transitioning donors from events. Oh, you think, you know, we all start with special events? I mean, there’s, no question about it, but i think it is the recognition that there is a discipline that can make those events were quarter and smarter and are part of a major gifts strategy if we see it as an event that we efficiently come into and go out of without seeing its capacity to build a pipeline of donors for other kinds of fund-raising particularly major gifts, i don’t think we make it a ll that it can be. So today we really talked had a great dialogue around the issue about some of the things that we can do to make a special event. Three distinct parts. It matters deeply what we do before going into the event. We’ll talk a lot about planet absolute, but planning in a different way, that really makes us understand who is coming, who are the prospects, but the day of the event. How do we really connect the donor’s? Not just with the event, but with the mission and how they can. Make a specific difference and how we then engaged him in the journey, not with the event but with the organization over time. He’s really the third ingredient in and so it really is very helpful to think about it as more than simply even itself. I’m gonna ask you to talk even closer to the mike because we have now we have the background noise because lunch is lunch is over, so stay nice and close. We don’t pick up too much outside background noise. Well, let’s start with the natural place of planning. What? What should be redoing as we’re planning the event? Planning for transitioning attendees to teo to our donor, right? I think we’re all too often we start with logistic rather than the strategy. What are we trying to do and who are we trying to attract? We also need to cast a wider net if you think of the donor pyramid. I mean, we’re looking at our past event guests and hoping people who will be new to the event will also come but we’re not looking for the clues that people give us on dso we found there was great opportunity looking at direct male donors give one hundred dollars more, and when we did some wealth screening, we found out they gave us one hundred dollars, not because that was their capacity. We had a box and they checked it and they gave us one hundred dollars. But we understood it. When we looked at it, they had so much more capacity, but we never got around to asking them. So looking a little bit more broadly and thinking about the strategy of engagement, we basically said, if you look at an event just as a single time, we’re going to invite him again next year. But if we look at the event and over late, a lot of the major gift strategies we have the ability to change the whole dynamic your oil to feet of the event. It could be that the institution and would be a longer term engagement. We get that right in the planning stage. That’s what we want, right? We don’t want this coming up year after year. And does this include people who come? They may only come one time because there connected with the honoree or just a friend of the organization brought them. Wait, convert those kinds of people. Well, you know, it’s very interesting. We learn a lot from our buffalo rochester offices because they have a very different evergreen strategy. Honorees are looked at differently than we look at them in new york city, and they are on it for body of work. So as a result, most of their strategy is thinking about how do you get the same donors to renew at higher levels each and every year? So now we’re beginning to implement that, saying, regardless of the honoree, how do we get more of our sponsors to renew? And then for those one time donors who come because of a gala honoree, we need to do some more screening and think about who else in our boards within the make-a-wish family knows them so that the relationship can transition to the organization, not simply around the honoree. What else can we learn from rochester and buffalo? Well, you know what? I think it is universal, so what? People want to make a difference? And we just have to make sure that we’re not leading with what we need, but we understand that the first conversation is the donor’s needs and the donor wants to be able to make a difference how our job is to take them on the journey by showing them how treating them like an investor, and that is a really key difference. Very often we ask for what we need, and we never think from the donor perspective, what about the organization will really resonate with them for the long haul? Do you really feel that upstate or western new york is better than downstate new york at this? No, no, i mean, they they’re scale is very different than ours. I mean, it’s a smaller scale the week that i think the best thing about fund-raising is if we are open to understand the best practices exist everywhere they learnt from us, we learn from them and i think it’s one. But i think the interesting thing is in every market, if you begin to institute this practice of looking at a bent donors not just as dahna sporting event on an annual basis, but really, truly look at it as a pipeline, we have seen donors go from seventeen hundred dollars to ten million dollars, or from our five thousand dollars. To five hundred thousand dollars. It isn’t a journey overnight, but the fact of the matter is some of our very gorgeous major gift donors entry point was at an event was how we dealt with that that made all the difference as to whether or not that became a continued transaction. We sell a ticket, you come to our event or if it really became a transformational relationship, the mission of the organization, are there other specific things that we should be doing in our planning? Aside from the concept of the lifetime donor, the longer term relationship, are there things specific to go to the invitation? Who invites them how they’re invited before the event? What else should we be doing specifically? Well, we began talking about if we were to really make this part of our major gifts strategy, what are the ships that we need to make? And when you think about it, our invitation is to an event we needed t even change the messaging were not just inviting you to invent we’re inviting you to share and join in this extraordinary mission and that’s very subtle, but it’s a very big difference, and so we even change the fact that when you come to a gala is a perfect example think about how we spend the first hour at cocktails just kind of wandering around. Instead, registration is outside, so the minute you enter the doors, you are coming in and part of a community of like minded people who believe that this is some of the most important work we could do for kids, and you are meeting wish families and volunteers on board members course searching you out as the guest that evening in that first hour becomes a really important message about we welcome your involvement in this remarkable work. How do we convey that message in our cocktail hour? Well, it’s really about storytelling and changing who tells the story? So if you think about it very often at a gala, whether it is during the cocktail hour, it’s during the main speeches of the night, putting up the ceo, they’re putting up the board chair. We’re talking about the past. We’re actually talking about statistics and how much money we raised in our case, somebody wishes granted when we changed the dynamic of who the storyteller wrists really should. Be the people who experienced the mission first hand and as we tell the story through their eyes, it says to a donor here’s exactly what your donation would do here’s exactly how it makes a difference in that moment for a lifetime that’s a very different relationship from the beginning of the point where that donor enters the gala. If we’re going to focus on storytelling at our events and it might be a very big one memory big gala or it might just be a smaller could be anything smaller, gathering, maybe even a meeting. Absolutely, we need thio sounds like have a very consistent message that the leadership is conveying that trickles down to all the employees and then also the board is conveying right when we need to have consistency and messaging. Well, you have to be have consistency in a couple of things. I think you have to have consistency and messaging for sure, but you also have to build a culture where the board and the staff are engaged in thinking about who’s there, you know, there’s, not a throwaway seated any event, and when you think that it matters most, there is a greater level of engagement on the part of the board and the staff and pretty work that gets done who’s at those tables. Who should we know how we welcome them? What would be important to them? And it allows boards to be successful. You know? Somebody tells you hear from boardmember i’ve given you every contact i have there’s, nobody else i can approach this empowers boards to reach out to other people that the organization knows and be champions that night for the cost. So they’re assigned we’re assigning people too, to meet specific people during the evening during the event. Absolutely and beyond that, you’re the eyes and ears. Every single person has a role kind of just surveying the room and learning what what they’re hearing that night and reporting, in fact so justus, we schedule an event on a day before that event takes place. We also have the debrief date by which boardmember volunteer staff get together. What did you hear? What did we learn? In very often? One piece of information about somebody was in the room is magnified then by another piece of information. And out of that then becomes thought. Okay. The event is over, but it’s on ly really big beginning in terms of engaging that dahna long term now on the way for the organization, and so part of the debrief is what’s next, what are some of the opportunities? And you’re right, we have to be on the same page. If someone were to say to us post event, i’d love to be involved how we ought to be able to convey what the options are many and there’s not going to be one that works for everybody. But everybody needs to know here some of the ways that you could be involved on an ongoing basis. So we’ve transitioned from beginning in the planning stage two day of now. We’re at our events. What else? A little bit there. Sorry, that was allowed. What else should we be thinking about? Oh, are executed the day of create this transition? Well, i think the other thing that you could do very, very well is start with strategy what’s the message that you’re trying to convey that should be the threat of connection to everything that’s being done that night and for us was really talking about the ripple. Effect of wishes in the ripple effect of wishes is a moment in time, yes, but it also has a lifelong impact. So one of our speakers was a thirty five year old executive with a wall street firm. He was a wish child seventeen years ago, and so the impact for him wass it had a ripple effect through his life, the life of his brother, who they really had a hard time when he was diagnosed with cancer. As the family would tell you, everybody’s diagnosed cancer, you know, said everybody has cancer feels like and so the threat of connection of his wish was in that mama with his brother. But it was also over his life he became a wish raining volunteer, helping others but imagine his role now explaining to people in his way that this investment that you will make tonight in support of this event, hasn’t it has an impact. Come on, the future generation of kids were just like me, that’s a that’s amazing way to tell the story, so the first part is what we’re trying to do. We’re trying to show the ripple effect over time across families in communities. And so all of those voices were part of the program that once that strategy is that you can always worry about the logistics next, but you’ve got to get that piece of it too often in event planning for the night of we think about the logistics, but we haven’t really thought about the strategy and that that’s, what we lead with and that story telling is is just a one part of it. Next is if you’ve told the story, then you’ve got a provided tangible way for people to make a difference, and so we don’t we do a lot of fund-raising at night, but its not around and for things we had one great item this year, and the rest is all about an auction to allow people to sponsor wishes and that’s the meaning of it. You go from the programme, which told the story from the perspective of families who have experienced it and then give people the opportunity to share in joining the mission by sponsoring future wish it was incredible to watch the little store ones, and some don’t respond to the wish. A season for wishes any or twenty five thousand. Dollars. Donation. In the room. An individual wish, right down to a thousand dollars and watching the room right up. Every time somebody was part of the community that was making a difference was really an extraordinary thing. It allowed people to know that this was a really special thing, that in this time and place, we’re all making a difference. Like what you’re hearing a non-profit radio tony’s got more on youtube, you’ll find clips from stand up comedy tv spots and exclusive interviews catch guests like seth gordon. Craig newmark, the founder of craigslist marquis of eco enterprises, charles best from donors choose dot org’s aria finger do something that worked. And naomi levine from new york universities heimans center on philanthropy tony tweets to he finds the best content from the most knowledgeable, interesting people in and around non-profits to share on his stream. If you have valuable info, he wants to re tweet you during the show. You can join the conversation on twitter using hashtag non-profit radio twitter is an easy way to reach tony he’s at tony martignetti narasimhan t i g e n e t t i remember there’s a g before the end he hosts a podcast for the chronicle of philanthropy fund-raising fundamentals is a short monthly show devoted to getting over your fund-raising hartals just like non-profit radio, toni talks to leading thinkers, experts and cool people with great ideas. As one fan said, tony picks their brains and i don’t have to leave my office fund-raising fundamentals was recently dubbed the most helpful non-profit podcast you have ever heard. You can also join the conversation on facebook, where you can ask questions before or after the show. The guests are there, too. Get insider show alerts by email, tony tells you who’s on each week and always includes link so that you can contact guests directly. To sign up, visit the facebook page for tony martignetti dot com. Lively conversation, top trends and sound advice. That’s. Tony martignetti non-profit radio. And i’m lawrence paige, no knee author off the non-profit fund-raising solution. Dahna oppcoll i’m going to ask a little just sort of a digression just about the logistics of that that auction for wishes did you have people predetermined that would that would be bidding on on any of the any of those auctions and those wish auctions way we thought about wass how could we make it? And i don’t mean to suggest the whole thing’s written? No, no, what did you have one or two people who you knew would get the ball rolling? They were all legitimate bits. We wouldn’t do that, but but there’s a couple of things that we were able to do before tony. So three board members came forward and said for new donors who never made a donation before to make a wish, the ability to come and make a difference for a child that’s a pretty important thing, but how much more would they feel? The impact of that initial donation if we came up with a challenge match, so three of our board members got together and one hundred and seventy five thousand dollars was put up in advance. They pledge this and they would donations of two hundred seventy five thousand, so that was a huge thing. We also knew from a couple of donors at the wish auction for somebody who couldn’t be at the gala, they were out of town was still a way to participate, so for people who weren’t there and want to participate that’s part of our culture now you always have this opportunity give even if you can’t be there. So we knew a handful of dahna they do it? What’d you do for the ones who couldn’t be there, so they have already pledged it, and they’ve made that commitment right before, and so we let people know that we were able to do that. Those two things are done in advance. We know that if if people know that thie donation they make is going to be doubled, there’s a likelihood that they’re going to give a little bit more on dh, then the other one to find a way to let donors who just can’t not be there that night. How else could we participate when it’s about wishes anybody can participate? And i think that helped a cz well, so that’s kind of the two things we know going into the night. Come and then way announced to the audience and then the third part of our trilogy stories after the event, what do we need to be now? Follow-up should be planned during planning, right way we should be thinking about what our follow-up is gonna be while we’re doing the advance planning it is, but we’re hearing a lot that night, and you’re understanding what the individual journey might be for donorsearch we can talk about on overall strategy were also listening to the donors needs as well, and that we hear that that night so that’s that’s an important thing. But, you know, i i think there’s a couple of great examples, our ten million dollars donor started out as a seventeen hundred dollars, went on. He bought tickets to a mets game where they were doing a benefit for make a wish and to see the journey after some of the events it was where he got to the transitional stage was when he was able to make a difference for the individual wish, so he began to grant wishes and then began to think, well, if i could grant a wish, i wonder if i could do more then he began to grant a wish a month for five years. Sixty kids, when you think about that, and that his attitude wass. But i couldn’t hyre others by this, and i have to lead by example. So in his office building, he took down some of his paintings and put up something that we have designed, which was simply a tree, acknowledging those wishes that have been granted so simple. First name of a child and a wish. When you came up into his hobby, you immediately saw that. This was somebody who was champion the cost. So he then, as he got closer after, after having been an event donor. And so when it became time to start thinking about the next generation wish children, you know, in two thousand thirteen, we were thirty years old, and we had grand on ten thousand wish, and we had a big bowl dream for the future. We wonder, grant the next ten thousand wishes because we understood now importance and impact want to grant those ten thousand wishes in a decade? Well, how do you sell somebody on a big, bold dream? Will you go to your best investors in the cause? And he said, well, i’d like to give you a down payment on the future, and that became the largest individual gift in the history of make-a-wish worldwide from an individual and think about that for the for the future of this organization, you know, here was somebody who went from seventeen hundred dollars, two, ten million, but it was never about ten million dollars for him. It was about the ability of change ten thousand lives. And so you think we moved from transaction, you know, i give you tickets to this event because you gave me a donation moved to the transitional stage where we could say thank you for making a difference for that child to the transformational stage would thank you for making a difference for the future of the mission that’s where the journey goes. If we take our special event and understand that each of those stages the preplanning the night of and what happens after are all distinct but equally important segments that can help that donor journey. Okay, we still have a couple of minutes left. Anything you want, teo. Hopefully you do have something you want to share that we haven’t said yet. Well, i think you know, one of the things that i was really struck by wei had our gala on june twelfth this year. And there was a couple who had come forward and they were security. They secure the honore, and they were great in helping support the fund-raising around him. And as they thought about sending a letter out two people to solicit funds from business colleagues and family and friends, i learn a lot when you see the letters, say, right, and this one just simply said we got involved with make a wish because we learned about Micah 6 year old who want to be a ballerina. We stayed involved because over the years we’ve seen hundreds and thousands of kids whose lives have been forever changed, and what i realized was here was a couple who came to an event was a cultivation event, just learn about make-a-wish and they heard that story and that stayed with them, and now we have an event for which they were such an incredible catalyst as a couple raised one point, six million dollars the fund-raising they did was extraordinary, they’ve been doubt a wish in perpetuity, and yet they never lost sight of the fact that it was at an event that was learning about that one child that touch them and made them want to do more. I don’t think i really understood the power of their motivation until that moment, but what i did no that’s, the discipline that we need to put in place and that’s the story telling you a story telling all the way in which we don’t look at this as a transaction it’s so much more and event can be so much more and could be such a powerful part about how we welcome donors into the extraordinary missions that we all support don’t leave it there. Ok, tony. Thank you. My pleasure, pat clemency. She is president and ceo of make a wish, a true new york and western new york and thank you for bringing lessons from rochester and buffalo. Thank you, my pleasure or listening to tony martignetti non-profit radio coverage of fund-raising day two thousand fourteen. Thank you so much for being with us next week. I just don’t know what’s going to happen next week. We’re pre recorded today, but have i ever let you down? If you missed any part of today’s show, i urge you find it on tony martignetti dot com. I’m just not sure about the singing. For twenty sixteen, we’re sponsored by pursuant online tools for small and midsize non-profits data driven and technology enabled pursuing two dot com and by crowdster online and mobile fund-raising software for non-profits now, with that apple pay mobile donation feature crowdster dot com our creative producers claire meyerhoff sam liebowitz is the line producer gavin dollars are am and fm outreach director. The show’s social media is by dina russell, and our music is by scott stein be with me next. Week for non-profit radio. Big non-profit ideas for the other ninety five percent. Go out and be great. Hey! What’s not to love about non-profit radio tony gets the best guests check this out from seth godin this’s the first revolution since tv nineteen fifty and henry ford nineteen twenty it’s the revolution of our lifetime here’s a smart, simple idea from craigslist founder craig newmark yeah insights, orn presentation or anything? People don’t really need the fancy stuff they need something which is simple and fast. When’s the best time to post on facebook facebook’s andrew noise nose at traffic is at an all time hyre on nine a, m or p m so that’s, when you should be posting your most meaningful post here’s aria finger ceo of do something dot or ge young people are not going to be involved in social change if it’s boring and they don’t see the impact of what they’re doing. So you gotta make it fun and applicable to these young people look so otherwise a fifteen and sixteen year old they have better things to dio they have xbox, they have tv, they have their cell phones, me doris, the founder of idealised, took two or three years for foundation staff to sort of dane toe add an email. Address card. It was like it was phone. This email thing is right and that’s, why should i give it away? Charles best founded donors choose dot or ge. Somehow they’ve gotten in touch kind of off line as it were on dh and no two exchanges of brownies and visits and physical gift. Mark echo is the founder and ceo of eco enterprises. You may be wearing his hoodies and shirts. Tony talked to him. Yeah, you know, i just i i’m a big believer that’s not what you make in life. It zoho, you know, tell you make people feel this is public radio host majora carter. Innovation is in the power of understanding that you don’t just put money on a situation expected to hell. You put money in a situation and invested and expected to grow and savvy advice for success from eric sacristan. What separates those who achieve from those who do not is in direct proportion to one’s ability to ask others for help. 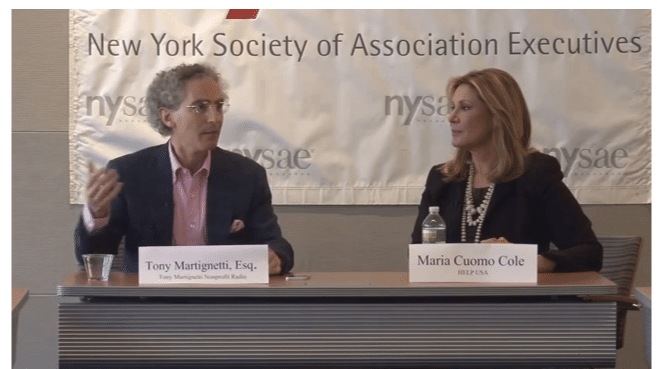 The smartest experts and leading thinkers air on tony martignetti non-profit radio big non-profit ideas for the other ninety five percent. Last month I was privileged to hear professional women share touching stories about relationships that meant the world to them, from moms to mentors. I was a guest at a meeting of Executive Women in Nonprofits, part of the New York Society of Association Executives. I interviewed Maria Cuomo Cole, chair of HELP USA, talking about relationships that have helped her professionally. Then we broadened to a group discussion. Brave executive women opened themselves to the 30 in attendance revealing how all kinds of relationships helped them get where they are. The stories moved me to tears. At that moment, I felt I was invisibly witnessing women talking when there isn’t a man in the room. In fact, there were two of us. The other was silent and, as facilitator, I was not. Of course, I can never be a live witness to women talking when there isn’t a man in the room. But that was how I felt. Thankfully, it was captured in HD video which you can play below. Members of Executive Women in Nonprofits, I thank you for inviting me. My special thanks to leader Holly Koenig. It was a unique, exhilarating morning. Maria Cuomo Cole, philanthropist and board chair of HELP USA, shares the professional value of all her relationships (including her mom!) and how they’ve helped her and HELP USA succeed. We talked at the June meeting of Executive Women in Nonprofits, part of the NY Society of Association Executives (NYSAE). Amy Sample Ward, our social media contributor, co-author of “Social Change Anytime Everywhere” and CEO of NTEN explains the value of micro-blog site Tumblr, how to decide whether you should be in, and how to get started. Here is a link to the audio: 151: Maria Cuomo Cole: Relationships & Tumblr Tactics. You can also subscribe on iTunes to get the podcast automatically. 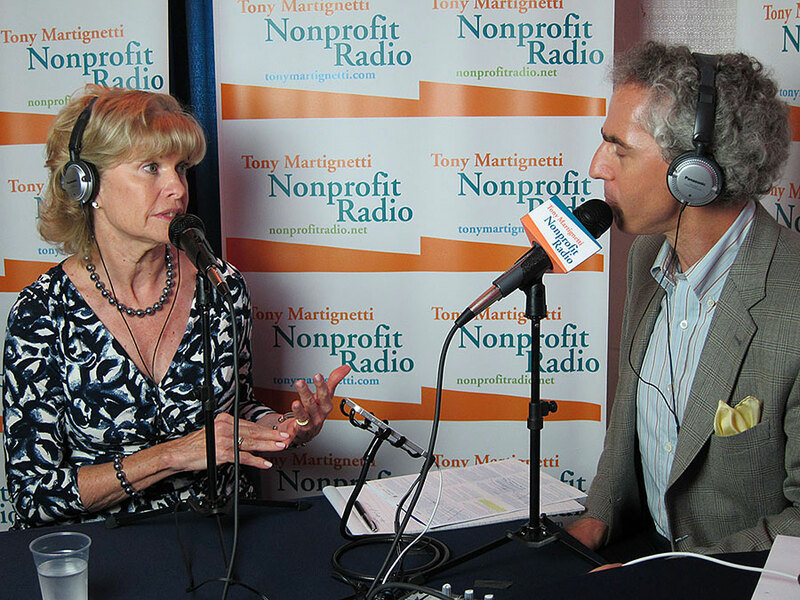 Nonprofit Radio for July 12, 2013: Measuring The Networked Nonprofit & Goodbye Google Alerts? 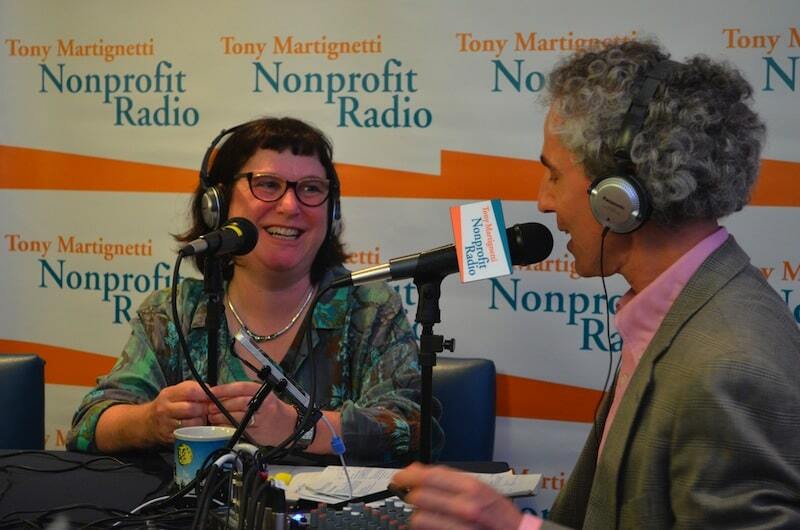 Beth Kanter, co-author of “The Networked Nonprofit” and “Measuring the Networked Nonprofit” talked to me at Fundraising Day last month about wide engagement and measuring your multichannel outcomes. Maria Semple: Goodbye Google Alerts? Maria Semple, our prospect research contributor and The Prospect Finder, has free alternatives in case Google Alerts disappear. Here is the link to the audio recording of this episode: 150th Show! Measuring The Networked Nonprofit & Goodbye Google Alerts?. You can also subscribe on iTunes to get the podcast automatically.